Angry and hilarious, this collection of satirical essays about Barack Obama confronts the racial tensions that have dogged the president during his campaign and first year in office. Some of the pieces include "Ma and Pa Clinton Flog Uppity Black Man," "Crazy Rev. Wright," and "Obama Scolds Black Fathers, Gets Bounce in Polls." Previously unpublished material also addresses the controversies around Henry Louis Gates, Jr. and Tiger Woods. 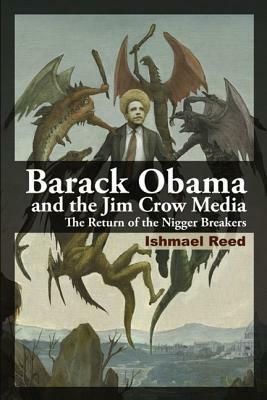 Ishmael Reed is an important American poet, novelist, playwright, and song writer who has taught at Harvard, Yale, Dartmouth, and the University of California-Berkeley. He is author of "Japanese by Spring," "The Terrible Twos," and "Writin' Is Fightin': Thirty-seven Years of Boxing on Paper." He lives in Oakland, California.""